Mertens' appointment will fill an engineering leadership vacuum at Audi. 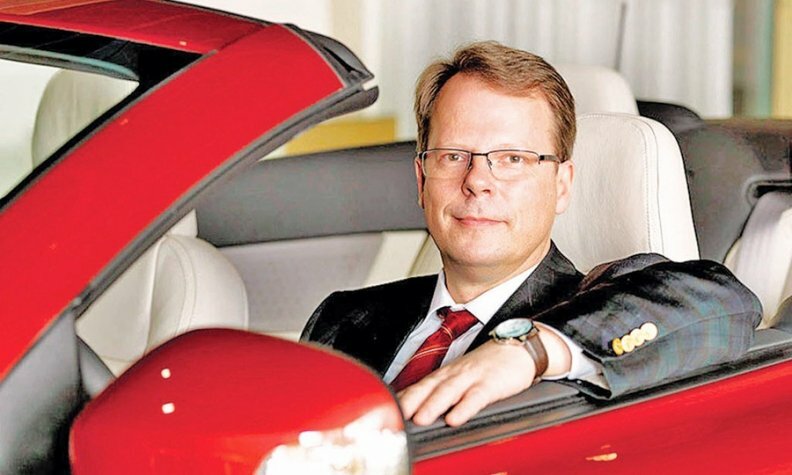 INGOLSTADT, Germany -- Former Volvo executive Peter Mertens will become Audi's development chief earlier than anticipated, giving the Volkswagen Group premium brand a boost amid the diesel-emissions scandal. The key job at one of VW Group's main profit contributors has been vacant since September when Stefan Knirsch left the company, creating a leadership vacuum that hampered the efforts of as many as 10,000 Audi engineers. German press reports said the launches of Audi's new A3 and Q4 models have been delayed because the brand's engineers are busy updating vehicles fitted with manipulated software. Mertens will join Audi on May 1, CEO Rupert Stadler told reporters at the company's annual earnings press conference at the automaker's headquarters here. Stadler said Mertens was a "really perfect top manager." Stadler thanked Horst Glaser, head of chassis development, for stepping in and providing leadership in the interim period. By appointing Mertens, an outsider, as development chief, Audi is avoiding the risk of losing a key executive as VW Group's emissions-rigging scandal continues to unfold. Knirsch left amid reports that he knew about the use of "defeat device" software used in 3.0-liter engines used by Audi, Porsche and VW models in the U.S. A former head of engine development at Audi, Knirsch had replaced long-serving Ulrich Hackenberg who was suspended then quit after the emissions scandal broke. Audi in November said it had recruited Mertens, who was Volvo Cars' development boss. He was expected to join Audi's management team in July. Mertens previously held senior positions at General Motors and Audi's rival Mercedes-Benz.